We’re Ready For Every Plumbing Repair San Mateo! If your garbage disposal is clogged, or you need one installed, call us at 650-343-9477. Our certified plumbers provide will repair, service, or replace your garbage disposal quickly so you can go on enjoying the rest of your day. 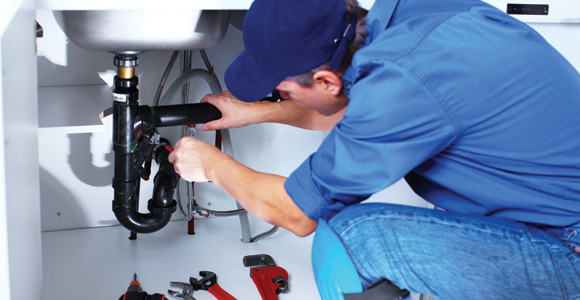 Rely on us as your trusted source for plumbing repairs in the San Mateo and Bay Area. A clogged garbage disposal is a very common occurrence. Like most appliances, they can stop functioning due to overuse or simply because they’re too old. Before you decide to fix it yourself, the electricity and water supply must be shut off; due to safety concerns it’s best to rely on professional plumbers to handle the repair rather than do it yourself. Once we repair it and it’s running perfect, maintenance is very important, there are some simple steps you can follow to increase the lifespan of garbage disposals. Avoid putting things down the drain like coffee grains, banana peels or egg shells. These materials tend to quickly clog the garbage disposal making it difficult for water to continue to flow. Always flush with water while it is turned on, this will avoid the starchy paste like material or small grains from clogging it. 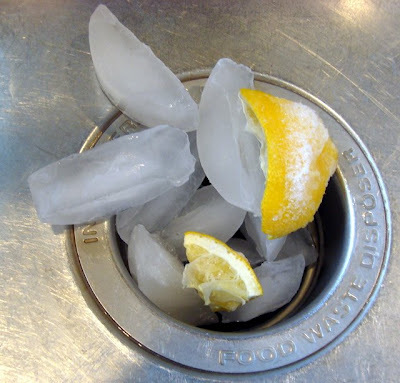 There are over the counter products you can purchase for regular maintenance and do a great job at flushing and cleaning, or you can use lemon peels and ice. The acid in the lemon peels will clean the surroundings really well, while the ice provides a rough texture to clear the blades and surrounding area without clogging it up because ice melts. If your garbage disposal stops working, don’t stress. Our San Mateo Plumbers can take care of it by providing you the best choices in products, and the job will be done quickly so you can continue with your day to day life. Our Bay Area plumbing company in San Mateo prides itself on providing the San Mateo, Burlingame and surrounding areas with the most professional and experienced plumbers in the industry. Call us at 650-343-9477 for all your plumbing needs and if the clog in your sink has you worried, please don’t! A professional plumber will be on his way to provide you with the highest quality, and most affordable garbage disposal repair and/or replacement service. Contact us today for a free estimate.